The U.S. Securities and Exchange Commission is investigating bankers from Barclays Plc and Morgan Stanley for their roles in Puerto Rico bond sales, according to filings with the Financial Industry Regulatory Authority (FINRA). FINRA records state the SEC’s staff has recommended the agency file an enforcement action against Barclays’ Luis Alfaro and James Henn for alleged violation of fair dealing rules for their roles in the island’s debt sales. The SEC staff states that Henn, who has worked at Barclays since 2008, and Alfaro, who worked at First Bank Puerto Rico Securities before moving to Barclays in 2013, allegedly violated securities and municipal bond rules on fraud, deception and misrepresentation during the sale of Puerto Rico bonds. The SEC staff also suggested sanctioning Morgan Stanley’s Charles Visconsi, the co-head of public finance, and his former colleague Jorge Irizarry, in connection with disclosures Puerto Rico made in documents circulated to investors, according to FINRA records. Puerto Rico’s financial oversight board said on Wednesday that it was still in debt restructuring talks with creditors of the island’s power utility, PREPA, a day after rejecting a proposed deal to restructure $9 billion of the utility’s bonds. This information which is publicly available on FINRA’s website has been provided by The White Law Group. 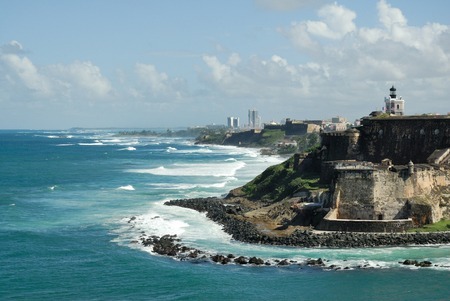 If you have suffered losses investing in Puerto Rico Bonds or another investment, the securities attorneys at The White Law Group may be able to help you recover your losses. To speak with a securities attorney, please call 888-637-5510 for a free consultation.